Search engine optimization, commonly referred to as SEO, represents an internet marketing practice that drives traffic to a website based on its search engine results. 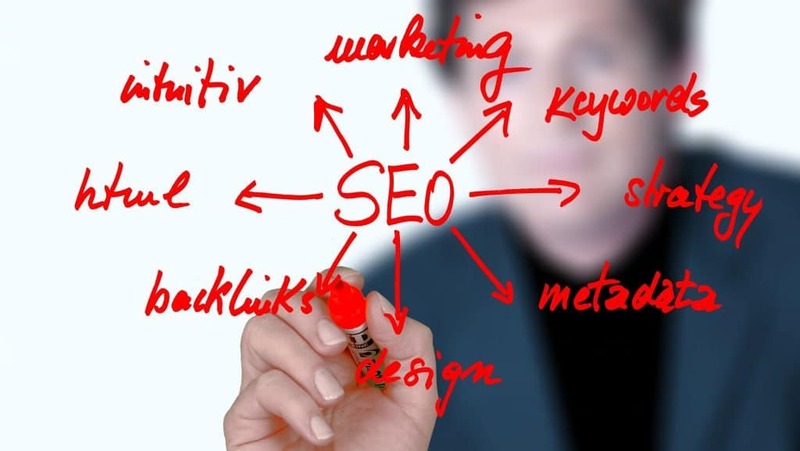 SEO represents a complex niche based on a multitude of marketing strategies. Understanding how SEO works is no easy feat, but it’s definitely doable. Smart SEO strategies can grant websites increased visibility in search engine results, which, in turn, drive up traffic. The quality of the traffic, however, is also important. With this in mind, website owners need to rank for specific terms directly related to their site’s niche. The purpose of this knowledge page is to further educate readers on how SEO works as a whole. This is essential in discovering how to carry out quality and results-centered optimization. 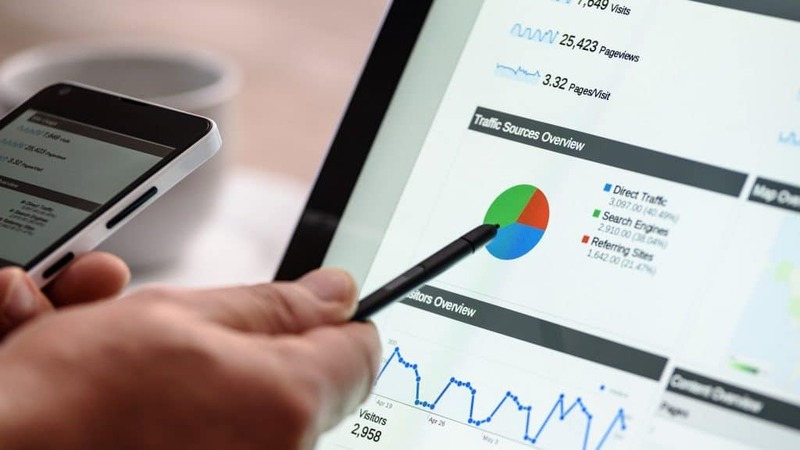 Smart SEO strategies rely on a multitude of factors, such as website content, on-website SEO, off-website SEO, linking, loading speed, website architecture, images, videos, content value, keywords, and more. Some of the main topics that will be covered here include how search engines work and how search engine algorithms operate. Search engines represent the main gateway to the World Wide Web. While typing in URLs in the address bar allows you to access specific websites, search engines are used for searches that yield multiple results. Most of the time, searching for a certain piece of data is much easier to do via a search engine. When you attempt to search for something on Google, the engine reads your keywords, and then attempts to come up with relevant web pages containing those particular keywords. But how is it that the search engine works this way? Well, after you click on search, the engine will scan its index of websites in order to find content that answers your question, if, of course, it’s relevant to your search. But how is this index formed? Search engines like Google use programs commonly referred to as web crawlers. These programs constantly navigate the internet in an effort to understand what each website is about. The crawler then stores data related to the web pages it’s visited, while also adding the page’s URL to the index we mentioned above. The process is repeated until all web page URLs are copied, indexed, and organized into a huge database. To better understand how search engines work, all web pages displayed following a Google search have been organized and visited by a web crawler. On the other hand, certain websites may not want to have their content indexed by search engines for various reasons. Indexing can be stopped by simply blocking web crawler access. With this in mind, it’s time to dive into the subject of how results are ordered. 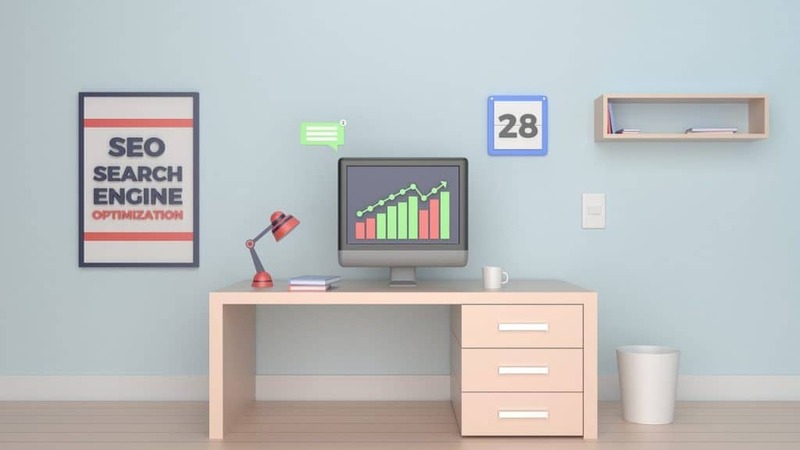 Search engine algorithms represent the mechanisms used by search engines to determine the most relevant and accurate results for search queries, but they are also needed for ranking the results into what SEO experts refer to as SERPs. Algorithms are the key answer to the question, what does a search engine do? Some of the factors used by search engines include, but are not limited to, keywords found in the content, the age of the webpage, the latest update, loading speed, website architecture, internal links, external links, quality of the content, plagiarism, duplicate content, URLs, location, machine learning preferences, images, video, website traffic, traffic from internal sources, traffic from external sources, title relevancy, description relevancy, content relevancy, ads, website security, infringements, penalizations, and value. As such, this is how the Google search engine works via its algorithm. Since most search engine algorithms are kept secret, there may be a multitude of other factors being taken into account when coming up with search results. Once the factors that have been outlined above are determined, a certain value is given to the result of each factor. Some are considered positive, whereas others are considered negative. As an example of how search engines work, if you search for “gourmet restaurants in central Prague,” the search engine will instantly give all Prague-based restaurants priority over the other food joints throughout the world (which may have otherwise ranked well when taking the other factors into account). As such, the value assigned to each webpage doesn’t only depend on the actual website, but rather on user search preferences, search as keywords, specific questions, and numerous other factors. This represents the main reason why search engine optimization isn’t an exact science. 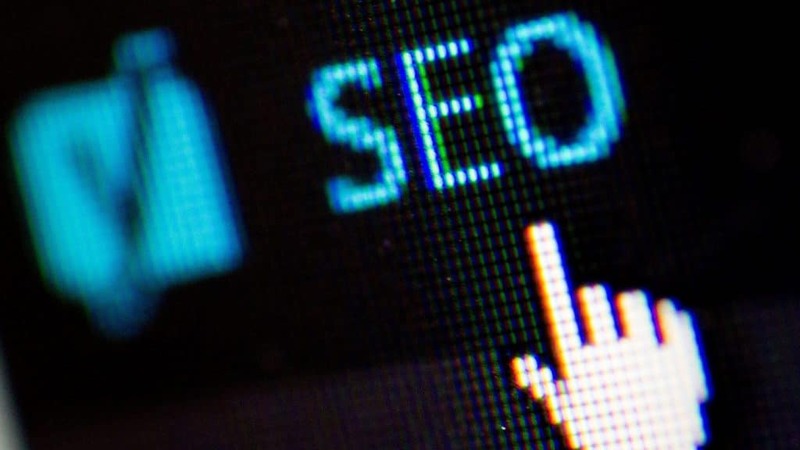 Basically, you can follow most SEO strategies, but if you fail to implement a feature the algorithm wants, you’ll mostly end up ranking badly in the search results. There are, of course, exceptions to this rule, and numerous other dynamics worth taking into consideration when coming up with better SEO strategies. Knowing this is essential to understanding exactly what is SEO and how it works. In the past, Google has released some limited information pertaining to how their algorithms work. To put things into better perspective, the Panda algorithm is used by Google in order to penalize, reward, filter, and judge content while taking several aspects into account (basically algorithms within algorithms). Another relevant example is the Penguin algorithm, which Google uses to fight spam and judge links. There are also organizing, data collection, content organization, and task-specific algorithms employed by search engines, as well as numerous others. So what is a search engine algorithm all about? A search engine algorithm isn’t a mathematical formula where you simply fill in the X to get a specific result. Things are a lot more complicated than this—that’s why there are hundreds of SEO agencies and professionals constantly attempting to learn more about successful SEO strategies. As you may already know, SEO represents an ongoing process that requires the implementation of numerous strategies. It’s the only way a website owner can determine what works best. In other words, trial and error is essential in finding the correct SEO approach for your internet marketing needs. Google’s web crawlers must find logic in how your website is organized. By implementing an easy-to-follow architecture that’s user friendly, web crawlers will make better sense of what your website is about and thus, reward it with better SERPs. Another key feature in how search engines work, keywords should be integrated into all written text available on your site. But don’t over-encumber the content, as this can lead to penalization. Meta descriptions tell search engines more about your website and what each page is all about. Additionally, meta descriptions also help readers better gauge whether you’re offering what they’re looking for. These are very useful in guiding web crawlers through all sections of your page. They also help improve traffic and the time spent by readers on your website. As the name suggests, website owners cannot directly control off-page SEO. However, these factors have an important influence over your search engine rankings. Unfortunately, there’s no way to determine how SEO works step by step. Nevertheless, here are some examples of off-page SEO and tips on how to improve it. Search engines are bound to reward the websites they deem trustworthy. However, how can Google determine the amount of trust it should give each website? The answer isn’t entirely clear, due to the secrecy of the algorithms, but it’s believed that backlinks from authority websites can increase trustworthiness in the eyes of search engines. Google’s algorithms also scan for social signals. This means that you should try your best to interact with your audience and create some form of engagement. The more comments, likes, and shares a page has, the better it will rank in search engine results. Not to mention that this also leads to a new traffic source. Wondering what is SEM and how it works? Search engine marketing relies on paid searches, commonly referred to as pay-per-click, as well as social media marketing. 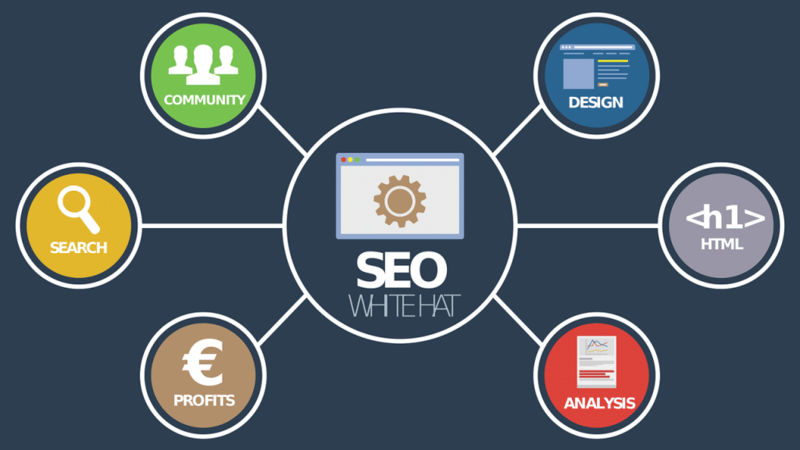 Black hat SEO consists of several SEO techniques that are often easy to implement yet fail to drive organic and quality traffic to websites. Their entire purpose is to artificially increase traffic, while driving up ad revenue. In the past, these strategies actually had an impact, but they led to a lower-quality internet. As for how SEO works now, search engines implement algorithms designed to detect black hat SEO techniques. Upon detection, websites found implementing such tactics are penalized, or entirely removed from search engine results. A relevant keyword (a term related to the content) should be placed once every 70–100 words. More so, the keywords must make sense in the context. Avoid using hidden text to increase the number of keywords. If you know how SEO works, you know to avoid duplicate, copied, and plagiarized content. Additionally, techniques such as article spinning, or leveraging scrapped content, will not only get your website penalized but may also attract legal trouble. Clickbait is also frowned upon by search engine algorithms. Website content should be designed to provide value to readers, rather than simply influence search engine results—this is perhaps the most important lesson when learning how a search engine works. After all, is there any benefit in having large amounts of traffic if readers click away as soon as they see the type of content being offered? Therefore, content creation should first appeal to the reader. After accomplishing this, then several white hat SEO strategies can be implemented to organically increase traffic. Algorithms scan the number of links pointing to a certain page in an effort to determine its value and popularity. However, link manipulation techniques will surely lead to worse SERPs. So how does a search engine work with bad links? A few examples include web-linking rings (in which website owners build link-sharing relationships with related websites), link farming (artificially increasing inbound links), link comment and blog spams, redirects via link exchanges, or commercial linking via anchor text keywords. Paid links are also a bad idea. If a search engine finds you guilty of selling/buying links, or paying for fake advertisements in order to increase website authority, your SERPs will decrease. Every once in a while, a new black hat SEO technique that yields results is discovered. However, it often isn’t long before search engines make the discovery as well—thus leading to website penalization. Basically, if a strategy seems too good to be true, it probably is. Hopefully you now have a better idea of how SEO works, and what makes search engine algorithms happy, based on everything that’s been outlined so far. 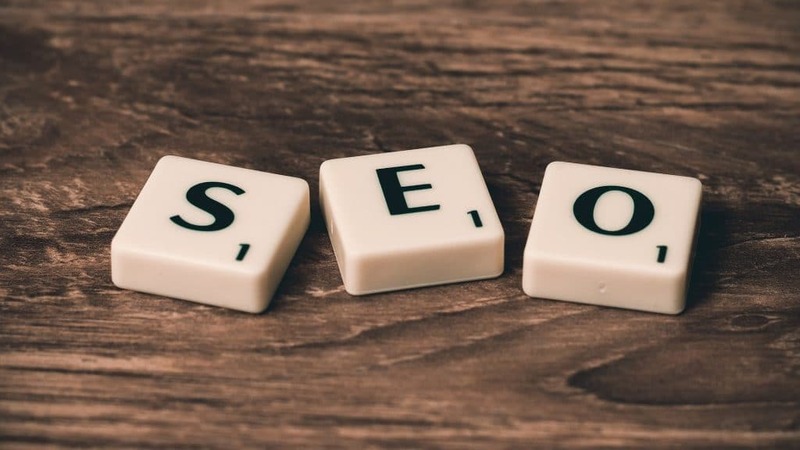 Successful SEO represents an on-going practice, and educational experience, through which you learn more about which strategies yield the best results.